The app is compatible with your device! – Book, pay and track using the RIIDE APP. Making Liberty Cab as convenient as ride-sharing. – Book your ride and set your credit card as your payment option to apply the reward. 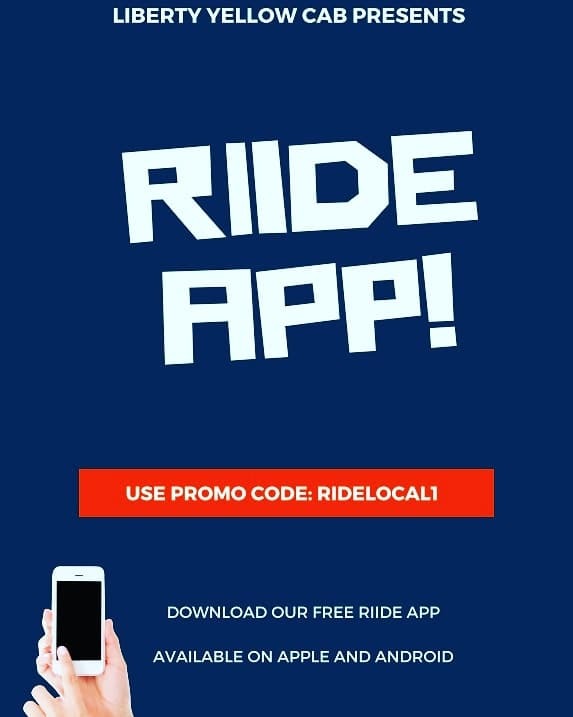 $10 off your first Riide! – The reward can only be redeemed on rides that are booked and paid for through the Riide app.